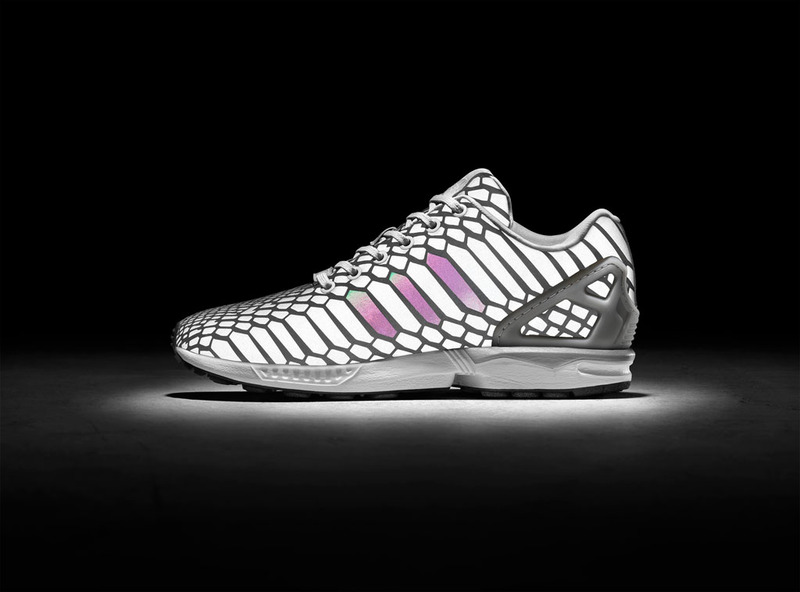 A second 'Xeno' Flux is on the way soon. 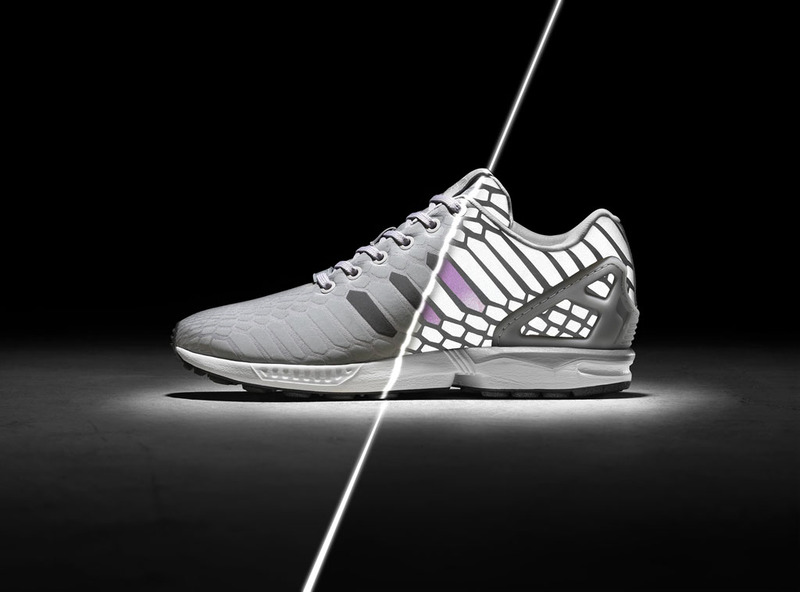 After selling out of the black colorway in February, adidas introduces a second ‘Xeno’ ZX Flux, this pair draped in silver. 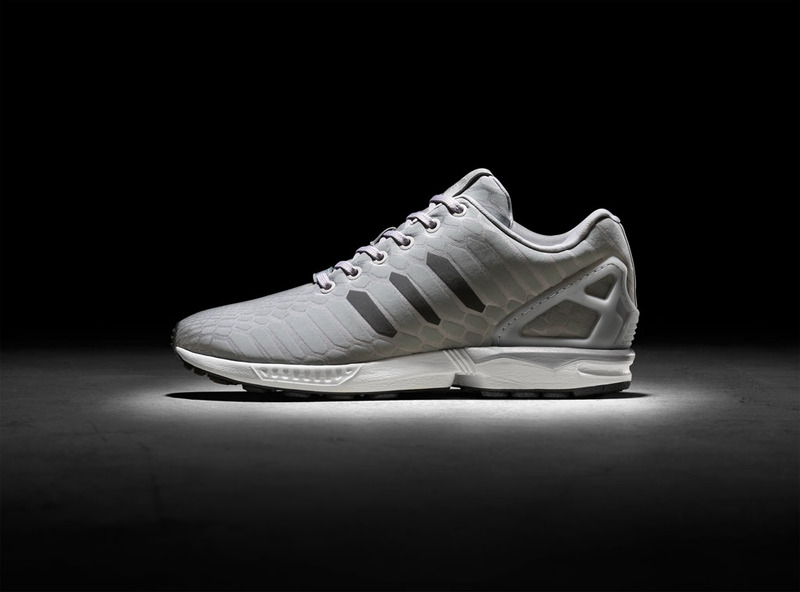 With Xeno, the silver upper is faint in appearance with iridescent shimmers throughout. Once hit by the flash of a camera, vibrant colors covering the spectrum of the rainbow illuminate and change depending on the angle. The concept was inspired by the Xenopeltis snake, which is known for its highly iridescent scales. 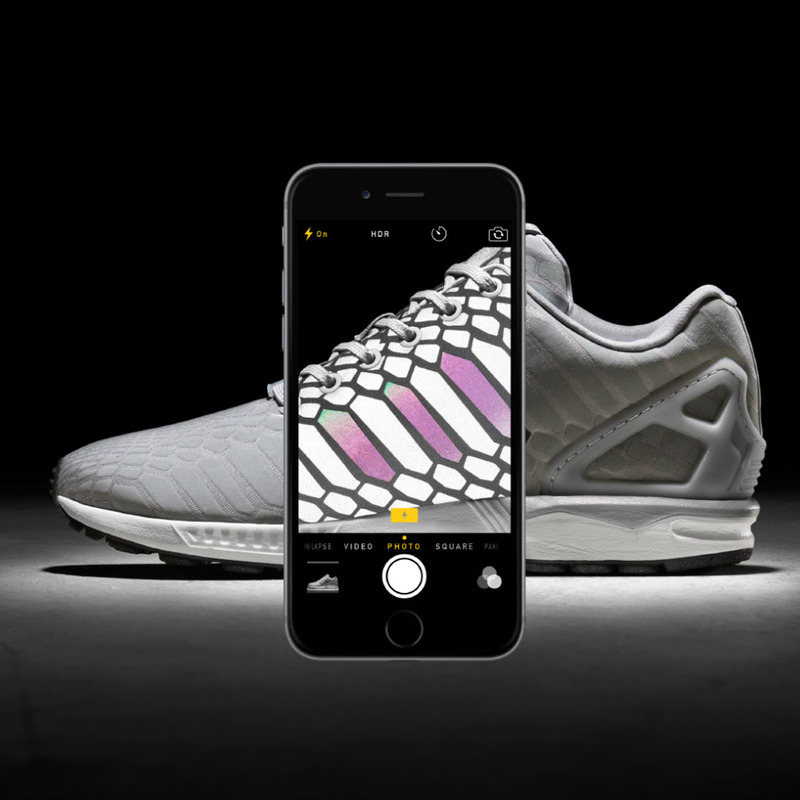 The silver ZX Flux ‘Xeno’ will drop along with a re-stock of the black-based colorway for $120 each at adidas.com/originals and adidas Originals retail stores laters this month.